Four bakers have been arrested in Venezuela for illegally making brownies and other pastries. It's part of a crackdown by the government, which now requires 90% of the country's wheat to be used in loaves rather than cakes. 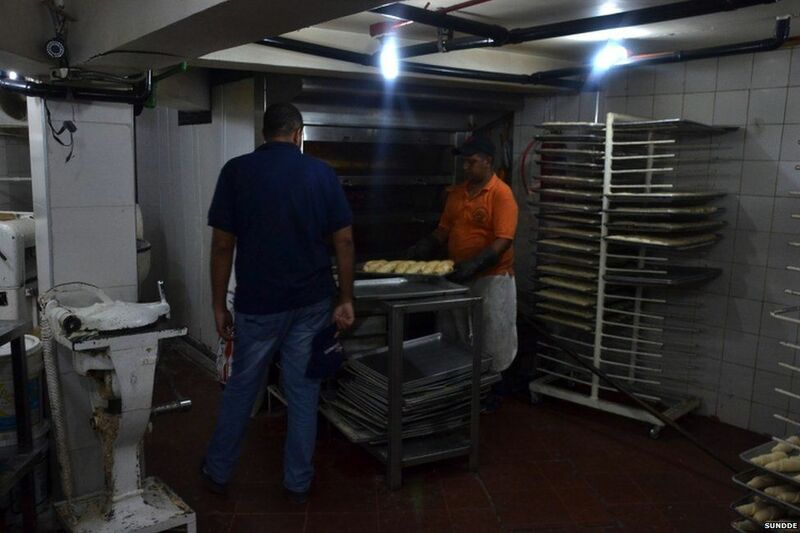 President Nicolas Maduro has threatened to take over bakeries in the capital Caracas as part of a new "bread war". 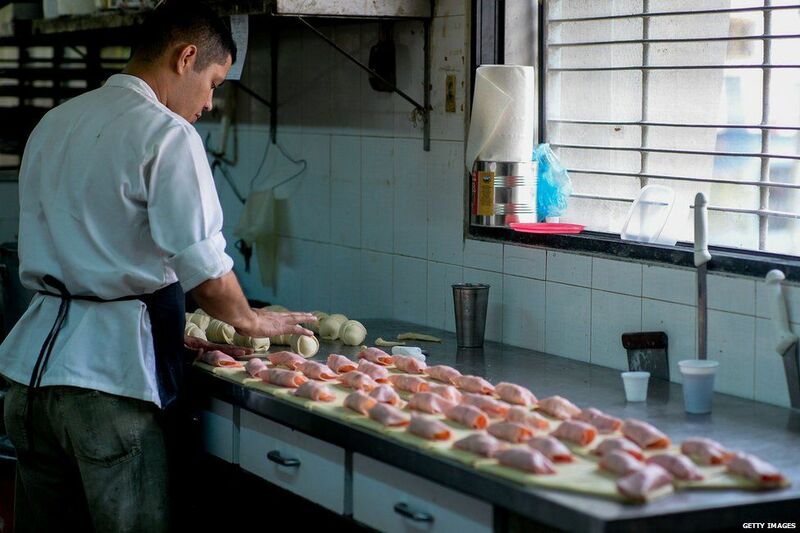 He's sent inspectors and soldiers into more than 700 bakeries this week to enforce the rules. 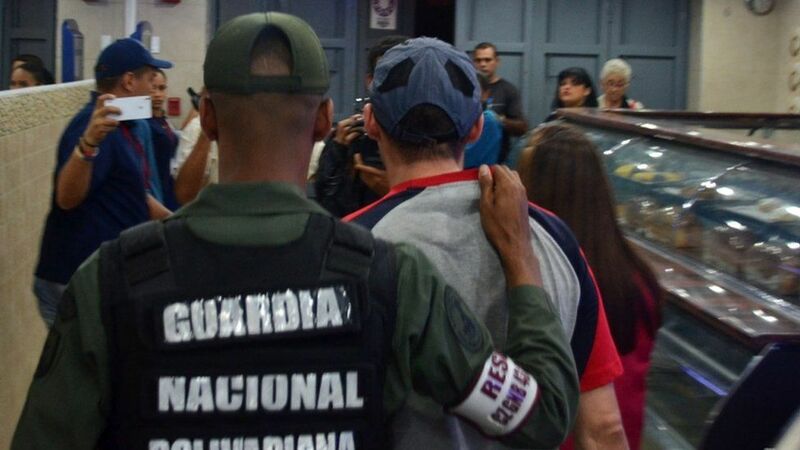 Venezuela's Superintendency of Fair Prices said two men were arrested because their bakery was using too much wheat in sweet bread, ham croissants and other products. Two more bakers were taken into custody for making brownies with out-of-date wheat. A government organisation tweeted a photo of the 54 bags in question. 1/7 #EsNoticiaSundde fueron detenidos dos individuos y puesto a la orden del MP por la elaboración de Brownie con harina de trigo vencida. At least one bakery has been taken over temporarily by authorities for 90 days. This is all part of the government's attempt to combat shortages and long lines for basic products during a three-year economic crisis. The ruling Socialist Party claims businessmen are hoarding products and pushing up prices. Critics say the government's to blame because of failed price policies and currency controls. Breadmakers are blaming politicians for a national shortage of wheat, saying 80% have none left in stock. 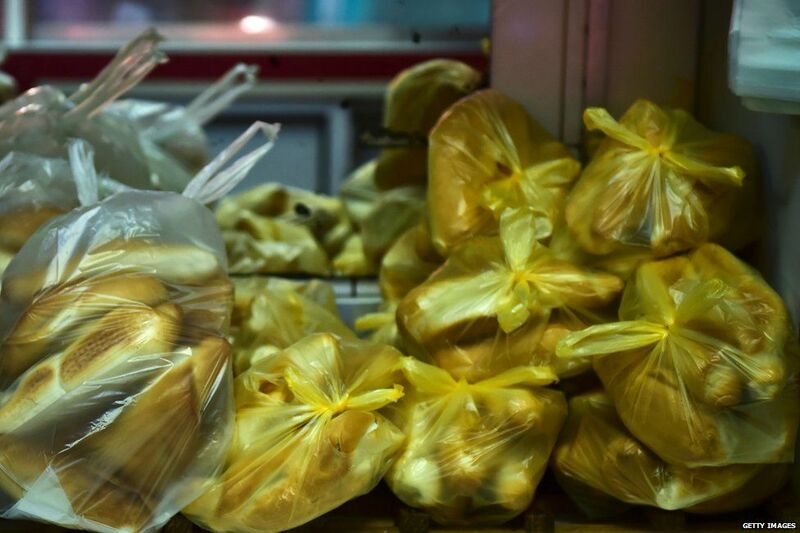 President Nicolas Maduro said earlier this week: "Those behind the 'bread war' are going to pay, and don't let them say later it is political persecution." 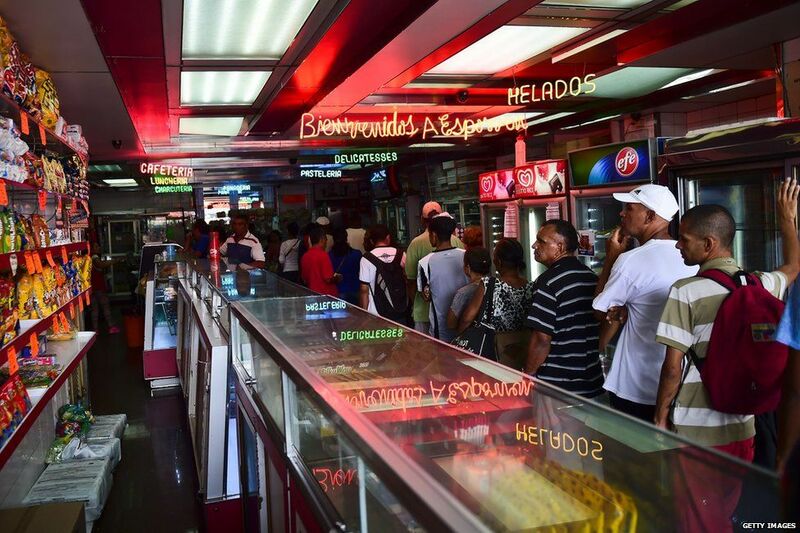 The group representing bakers, Fevipan, has asked for a meeting with Nicolas Maduro, saying most shops can't make ends meet without selling higher-priced products. Venezuela has moved its clocks forward 30 mins to shorten the day & save electricity amid an economic crisis. 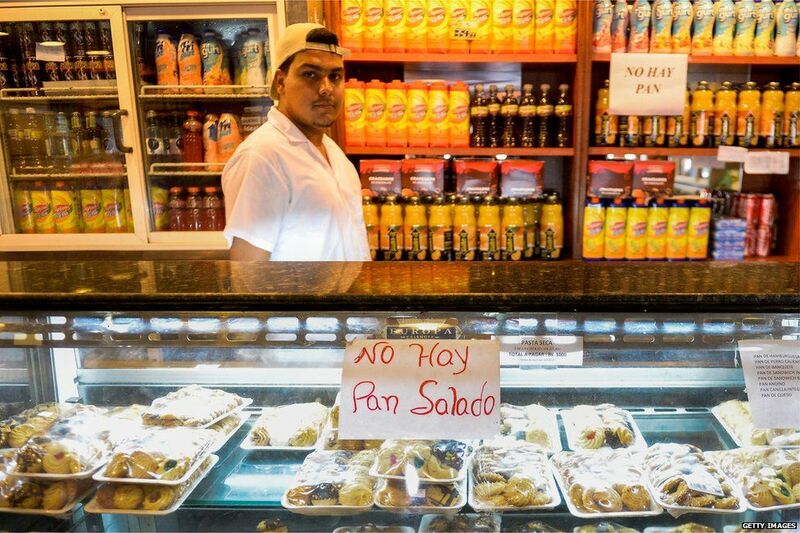 New rules brought in mean bakeries in Caracas must use 90% of flour to bake savoury bread and only 10% for pastries and cakes. They are also required to provide a constant supply of bread throughout the day from 7am to 7pm and make sure there's bread the next morning by holding over loaves from the previous day.